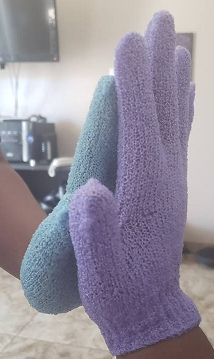 Recently I had the opportunity to try Smitco exfoliating gloves. I decided since I was given some in exchange for a review I would take the chance and have a entire mom relaxation moment. Here are my thoughts. received 4 pairs. They were all the same except for the color. One thing I noticed right off was that they stretched well. In the pic you see my hand with my 11 yr olds hand. 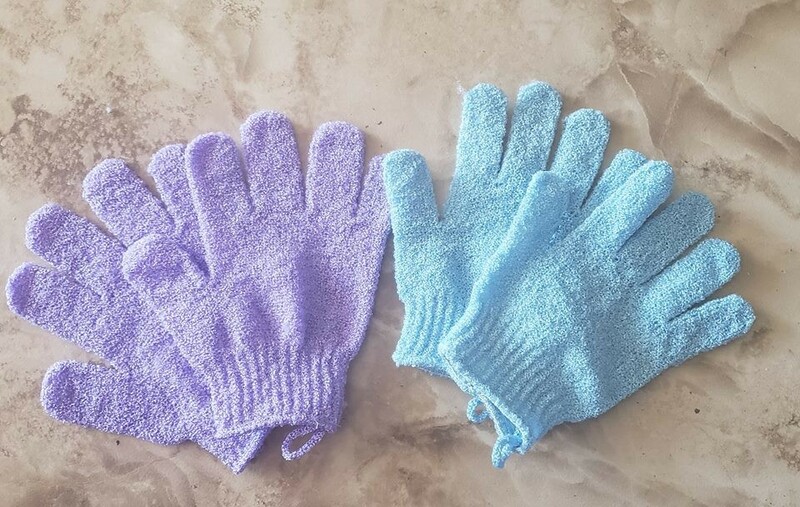 I have much longer fingers but the gloves stretch to adapt to short or small comfortably. 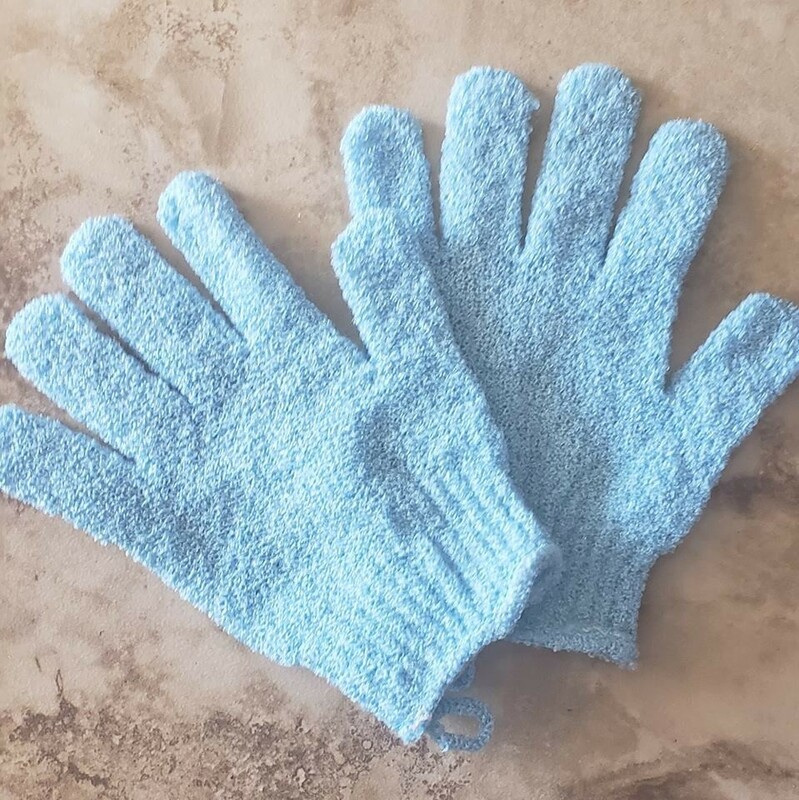 The exfoliating gloves seemed sturdier than other pairs I have. I will say at first I was a little iffy when I felt how rough they were but I thought I’d give it a try anyway. My skin looked and felt amazing. And once the gloves were wet they were not as rough on my skin as I had been anticipating.